An electronic communication network (ECN) is a financial term for a type of computer system that facilitates trading of financial products outside of stock exchanges. The primary products that are traded on ECNs are stocks and currencies. Forex ECN can best be described as a bridge linking smaller market participants with tier-1 liquidity providers through a ECN Forex Broker. A true broker must display the Depth of the Market (DOM) in a data window, let clients show their own order size in the system and allow other clients to hit those orders. With ECN broker traders can see where the liquidity is and execute trades. Complete anonymous trading environment. Anonymity enables traders to deal on neutral prices, which reflect the real market conditions only. Straight through processing with banks liquidity. The ECN model allows clients to trade on the global liquidity of world-class banks and qualified financial institutions. Interbanks prices and spreads. ECN Forex brokers always have variable spreads. There is No dealing desk & No re-quotes. Customers can trade on prices streamed by multiple large banks and prime brokers. All trading styles are welcome (no restrictions). 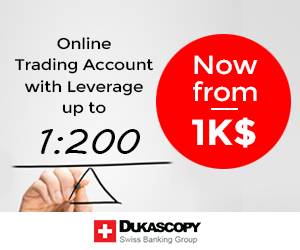 Banks reduce their costs as there is less manual effort involved in using an ECN for trading. No conflict of interest. ECN brokers are not making money on bid/ask (spread) difference. ECN's typically charge a small fee (Commission) for matching trades between their clients and liquidity providers. ECN brokers are interested in their clients to be winning, otherwise there will be no commission to earn. An ECN broker benefits from commission fees per transaction. The higher trading volume the broker's clients generate, the higher the broker's profitability. Dealing Desk Brokers (Market Maker) vs No Dealing Desk Brokers (STP, DMA/STP, Or ECN/STP), which one should I choose?